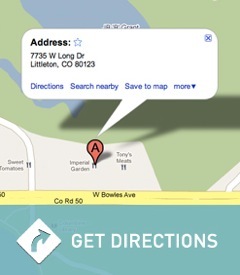 Call Littleton Dental at 303-933-8880 and provide as much detail as possible about your condition. Remember, pain is a signal that something is wrong—a problem that will not disappear even if the pain subsides. If you are concerned about visiting the dentist because you have limited or no dental insurance, ask your dentist if the practice offers a convenient outside monthly payment plan. If the answer is yes, you can submit an application online and get an immediate credit decision—and the emergency care you need. Go to Care Credit, Chase Health Advance andSpringstone Financial. Rinse your mouth with warm water to clean it out. Gently use dental floss or an interdental cleaner to ensure that there is no food or other debris caught between the teeth. Never put aspirin or any other painkiller against the gums near the aching tooth because it may burn the gum tissue. If the pain persists, call our office immediately. When you bite down, you feel a sharp pain. It quickly disappears and perhaps you ignore it. You avoid certain foods or chew only on one side of your mouth. Does that sound familiar? If so, you may have a cracked tooth. Call our office immediately.